1-1/2 316-Stainless Roofing Nails, Ring Shank, Bulk, 25-Lb. 1-1/2 316-Stainless Roofing Nails, Ring Shank, Bulk, 5-Lb. 1-1/2 Stainless Roofing Nails, SMOOTH Shank, 1-Lb. 1-1/4 316-Stainless Roofing Nails, Ring Shank, Bulk, 5-Lb. 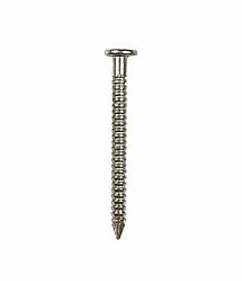 1-1/4 Stainless Roofing Nails, Ring Shank, Bulk, 1-Lb.